Unconventional MindSphere customers reimagine factory tools, automation and product design. Picture an automated robotic parking garage that can fit at least twice as many vehicles as the traditional concrete variety. After a car pulls into the lot, the system whisks away the vehicle, preventing drivers from having to hunt for a spot within the structure. Or imagine creating a digital twin for surfable waves created in large pools that look as natural as those in the ocean. Or think what if it was as easy to design your own car as it was to play a video game. These are all scenarios either currently available or are in active development from Siemens customers. The industrial conglomerate Siemens, which is a finalist in the IoT World Awards, has been promoting its IoT platform MindSphere for the past several years, but the capabilities of the platform are clarifying as the number of customers using it has increased to more than 1,000 users, including SurfLoch, which bills itself as a “leader in wave generating technologies” and Hackrod, which aims to advance hot rod design with breakthroughs in video-gaming, virtual reality and 3D printing. 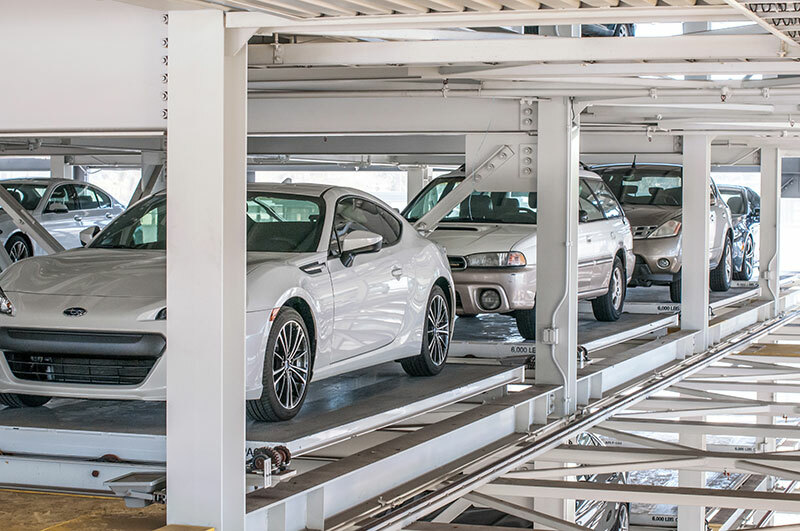 AUTOParkit, a division of Dasher Lawless Automation, has been installing automated parking garages since 2013, and has been working with Siemens since 2016. The AUTOParkt project makes use of Siemens automation hardware, electrification and digital tools. One of the company’s central aims is to help dense cities better keep up with parking demands. Generally, AUTOParkit’s parking strategy enables twice as many vehicles to fit within a given structure compared with a traditional parking garage — at a similar price point. In some cases, however, the strategy can be even more financially appealing. For instance, in 2017, AUTOParkit constructed the biggest completed automated subterranean parking structure in Marina Del Rey, California. Featuring 277 parking stalls, the garage was based relatively near the ocean, making the prospect of digging a traditional parking garage in the same footprint cost prohibitive. A conventional approach also necessitated building the garage four stories below ground. “The water table notwithstanding, reducing the depth had the project saving over a million dollars,” said Christopher Alan, president of Dasher in a statement. A lifelong surfer, Tom Lochtefeld grew up in La Jolla, California and, after graduating high school, turned down football scholarships at Stanford and UC Berkeley so he could continue surfing. After earning a bachelor’s degree and later a law degree at UC San Diego, Lochtefeld got involved developing water theme parks in the 1980s. His interests eventually coalesced around his dream of developing artificial waves that could rival the best waves the ocean can churn out. In 1991, he developed the Wave Loch FlowRider system, which produced so-called “sheet waves” that were eventually installed on cruise ships and in water parks. Next up, Lochtefeld developed Wave House, an entertainment center inspired by surf history featuring a wave technology known as FlowBarrel. The MindSphere-based digital twin used for those waves help the company optimize its wave as well as the quality of water used in its systems, which is actively filtered. “Where we’re heading, in terms of digitalization, is the ability to create showcases, because we sell our products around the world and create these venues [built around surfable waves],” Lochtefeld said. “I’m pretty excited about it,” he concluded. Mike “Mouse” McCoy, the chief executive officer of the startup Hackrod earned his nickname as a child motocross racer because he was, well, small and fast. “I moved on to be a professional motorcycle racer. The name stuck,” McCoy said. “I transitioned into becoming a stuntman. [“Mouse”] is a pretty good stunt man name,” he added. The name persisted during later stints as a director and CEO of a movie studio to the present. Now, Mouse McCoy is intent on bringing mass customization to the automotive field. Having become inspired by the maker movement while working in the film industry, McCoy also never strayed from the risk-taking of his youth. 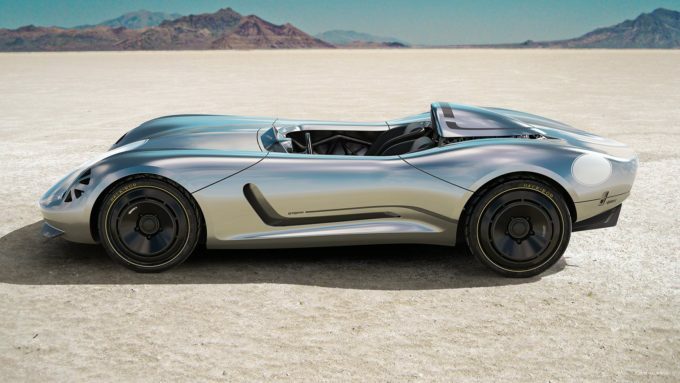 And thus, his current firm Hackrod takes an exceptionally unconventional approach to car design, unifying virtual reality, Siemens PLM and artificial intelligence and 3D printing. The company refined the aerodynamics of a car known as “La Bandita” in the digital realm. It deployed IoT sensors to generate massive amounts of data about a prototype of the vehicle. Hackrod uses MindSphere as a sort of AI platform to enable the startup to refine the vehicle’s design. “La Bandita is not a concept car. It is a proof of concept of an entirely new way to design and manufacture,” McCoy said in a YouTube video. As a case in point, Oak Ridge National Labs is currently 3D printing a micro nuclear reactor. Hackrod itself is using 5-axis machining along with full-scale 3D printing in aluminum in a 12- by 8- by 6-foot footprint. Some of the hype surrounding AI for cybersecurity may be justified, but some vendors are still marketing “AI” as a sort of magical elixir. Driving sweeping change with connected health devices and other technologies in the domain is often challenging, but there are bright spots.